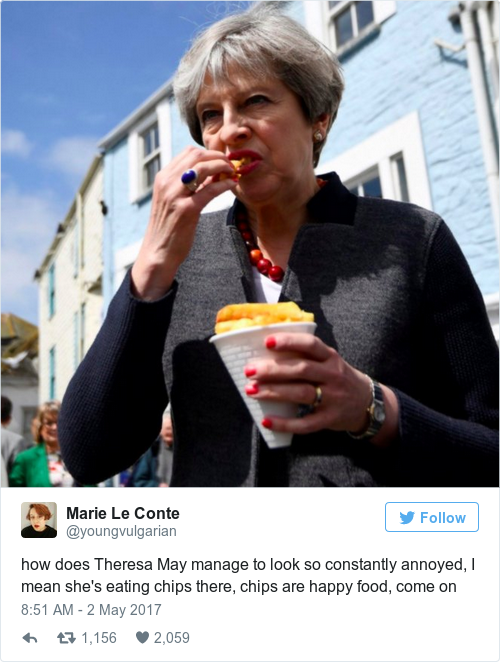 From Theresa eating chips to #Grime4Corbyn, here's our fave memes from this UK election season. Election season - it's coming UK kids. June 8th will see the 2017 General Election take place as the Conservative party's Theresa May takes on Labour's Jeremy Corbyn among many others in a challenge for the title of Prime Minister. It's exciting stuff and there are plenty of youth issues at stake, from university tuition fees to the Brexit negotiations. But, of course, there is only one big question on everybody's minds as the campaign enters its final days - what are the best memes of the election? Don't worry - not only have we done an Election podcast special, we've got you covered meme-wise too! 2) The unfortunate facial expressions of Theresa May. Bless, not the best moment to get caught in shot is it? Theresa May's catchphrase of choice was, um, well...a bit overused. And I thought HMS Strong & Stable was supposed to be unsinkable...? 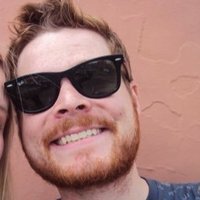 When Jeremy helped hold up a speaker for a colleague making a speech, you just knew the edits would be quick to follow. A campaign trip revealed to the general public that our PM is seemingly incapable of eating chips. And chooses to eat them with coffee too - dear god why? Me: I don't think I could be any more embarrassed by my country. Theresa May: Hold my chips & coffee. #grimeforcorbyn t shirts @teespring. #JC4PM #VoteLabour #ToriesOutNow #ToriesOut. Who would have though that the UK's finest Grime music stars would all choose to get on board and back big Jezza? The laugh heard around the world. We've had trap remixes, grime edits and more but our heart will always be with this original version of the Conservative candidate's ridiculous choice of music to soundtrack his call to vote. Like stepping into a 1980s wedding disco. I chime in, haven't you people ever heard of, closing that tax loopholes?